Happy 4th of July to all Americans and Canadians. July 4th is special for me too but for another reason. Two of my favourite artists share a birthday on July 4th. So I am gonna share one video of each to celebrate. The first is Gackt, one of the most talented and magical musicians I've ever heard. He is having a European tour this month and I can't wait to enjoy his live performance once again. This is one of my favourite songs from him, 雪月花 - The end of silence. This is a collaboration he did with Jpop artist Crystal Kay, a lovely song called Wonder. 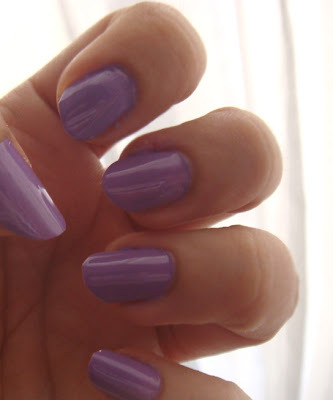 And as I don't want to divert from the main purpose of this blog, here are some swatches of one of my favourite polishes, OPI's Do you Lilac It. I am gonna turn this into an animal print mani which I am gonna post later on but for now here is the lovely light purple colour, two coats without top coat.